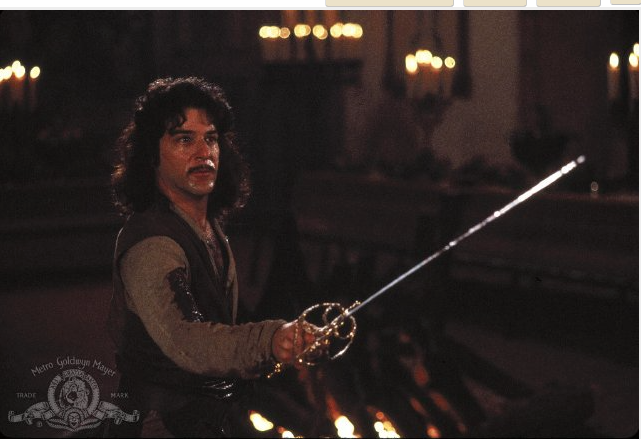 Still of Mandy Patinkin in “The Princess Bride” (1987). For an absolutely great DVD extra from Rob Reiner’s “The Princess Bride,” featuring interviews with Patinkin, Cary Elwes and Christopher Guest about learning to swordfight for the film click here. He is a known as a great interpreter Stephen Sondheim’s music and originated such iconic roles as Georges Seurat in “Sunday in the Park with George” (not one of my favorites) and Ché in the original Broadway production of “Evita” (one of my favorites). Click here to watch “A New Argentina” with Patinkin, Patti Lupone and Bob Gunton. Still of Claire Danes and Mandy Patinkin in “Homeland” (2011). There is no “Homeland” on Showtime tonight so we have to wait another week to find out if Patinkin, playing former CIA chief Saul Berenson survived the drone attack on the convoy bringing him back to the American Embassy in Afghanistan. Playbill.com has posted a photo gallery honoring the multi-talented actor. Visit the official Mandy Patinkin concert site here. Visit the official Mandy Patinkin and Patti Lupone concert site here. To learn more about this actor/singer, click here.